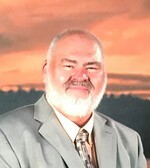 William Woodrow (Bill) Bryant, 71, of New Castle, our beloved husband, father, grandfather, brother, and great-grandfather, left this earth on Saturday, March 31, 2018, in all trust that his spirit would be with his Heavenly Father until he receives his new whole body when he is resurrected. He leaves behind the love of his life and wife, Joyce; his beautiful son, David; and his lovely daughter-in-law, Katie. He also leaves behind his special sister, Mary; his daughter, Kristi; three granddaughters; and his special friend, Blaze, his border collie. We wish to give great appreciation to our dear neighbors, Wade and Sandra Dudding, for their kind assistance and being with us with all of their love and help when Bill died at home. God bless all of you. Per his deep wishes, he requested to be cremated with his ashes to be scattered under his favorite oak tree on his wonderful mountain. He also wished to have his ashes spread near his mother’s grave in the family graveyard in the mountains of West Virginia. Bye Darling, until we meet again. A private memorial service will be held at a later date. Online condolences may be expressed at www.johnmoakey.com.